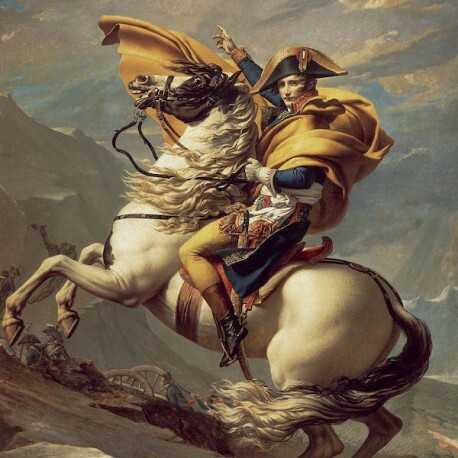 In the Fall Quarter of “The History of Modern France,” we will discuss the French Revolution and the emergence of the young Army officer Napoleon Bonaparte who was a revolutionary and always saw himself as a revolutionary. The revolution (and its child, Napoleon) changed Europe forever. Presented by William H. Fredlund, Ph.D. 10 Wednesdays, October 4 – December 13, 2017, at 7:00PM. The full, 30-week “The History of Modern France” course (fall, winter, and spring) studies the French story from the French Revolution of 1789 to World War I. Over the academic year, we will study history, read fiction and poetry, discuss art and artists, and try to connect all these fields into one narrative explaining the formation of modern France. Dr. William H. Fredlund, the Director of the Institute, and one of Silicon Valley’s most popular lecturers, obtained his B.A. and M.A. from UCLA, where he specialized in European history and art history. He studied in Italy on a Fulbright Fellowship and completed a double Ph.D. in history and humanities at Stanford, specializing in Renaissance Italy. Dr. Fredlund has taught for UCLA, the University of Florence, Stanford, and UCSC Extension.